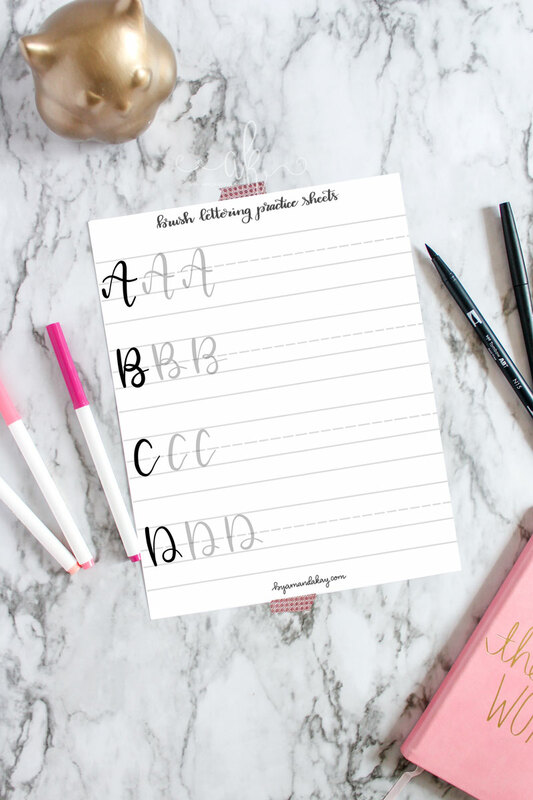 You can practice capital hand lettering with these free uppercase brush lettering practice sheets. 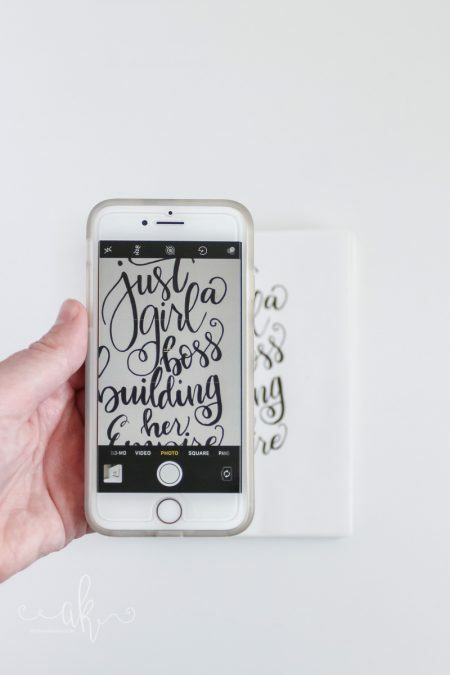 Print for practice with a brush pen, or download images to practice on the iPad! I struggled with my uppercase brush lettering, so for a long time I would just write everything in lowercase. In brush lettering that’s not a big deal, but now that I have some experience under my belt, I like to play around with mixing different styles. I finally sat down one day after buying my iPad Pro and Apple Pencil, and just practiced different ways of writing capital letters. It’s easy on the iPad because you have unlimited “paper” and can just hit the undo button if you aren’t happy with how one of the letters turned out. 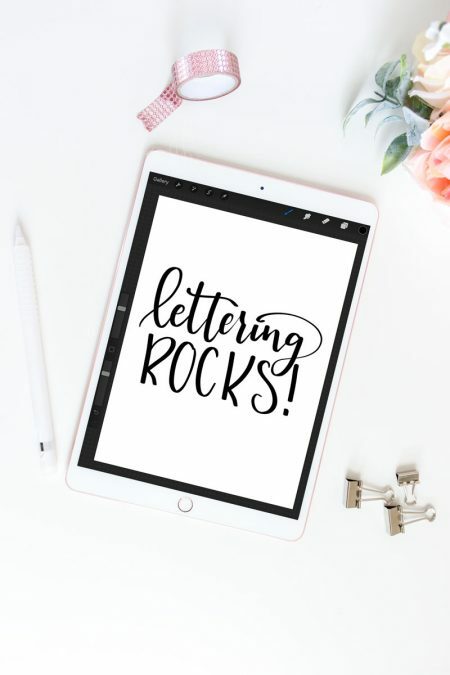 Since I struggled so much with uppercase brush lettering, maybe you do too. 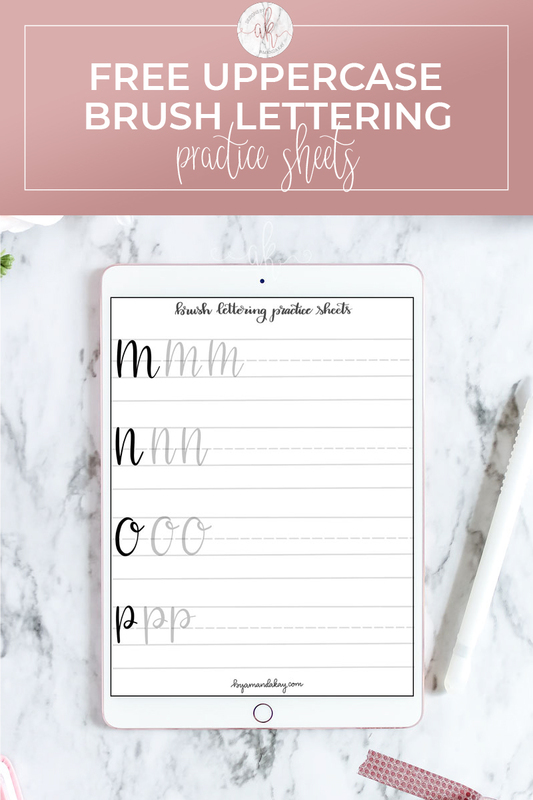 So I’ve created another set of brush lettering practice sheets for you to download and get practicing. 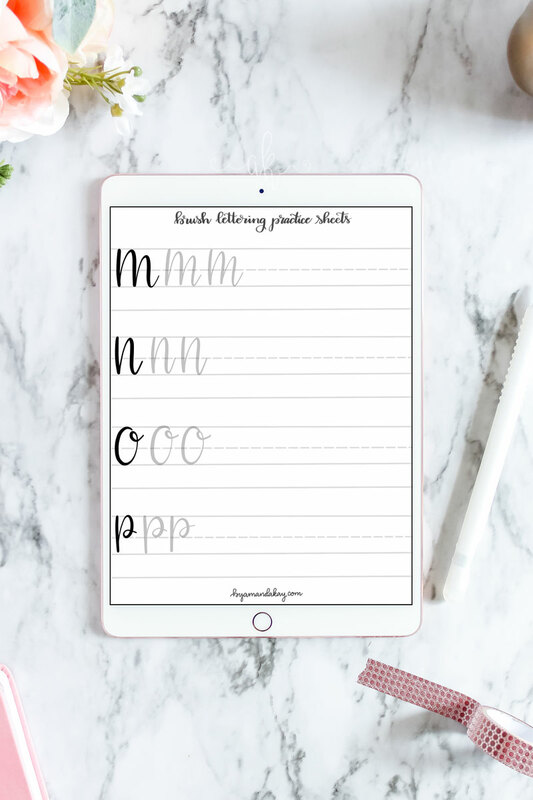 These uppercase brush letters are just one style, but it’s a great place to start if you’re struggling like I did! 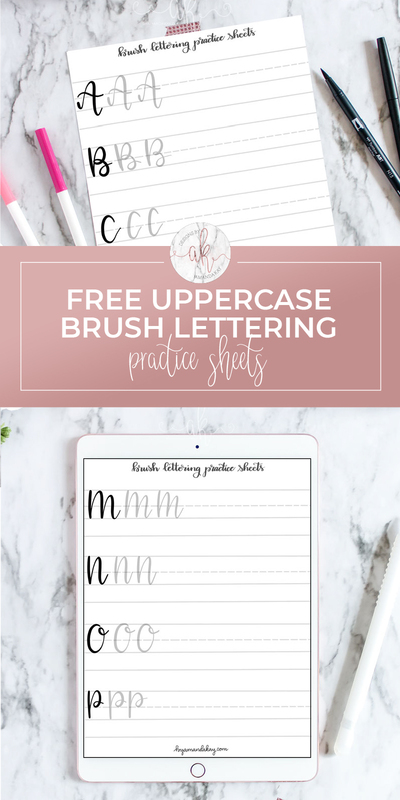 The best way to use these free uppercase brush lettering practice sheets is to download and print on smooth printer paper. I like this one best as it doesn’t seem to fray the tips of some of my felt brush tip pens. They work great with a large tip brush pen, like these Tombow Dual Tips or Michael’s Artist Loft Watercolor pens. You can also download these images onto your iPad. Then just simply open up Procreate, or your favorite lettering app, and import the image. It’s easy to trace over them unlimited times! 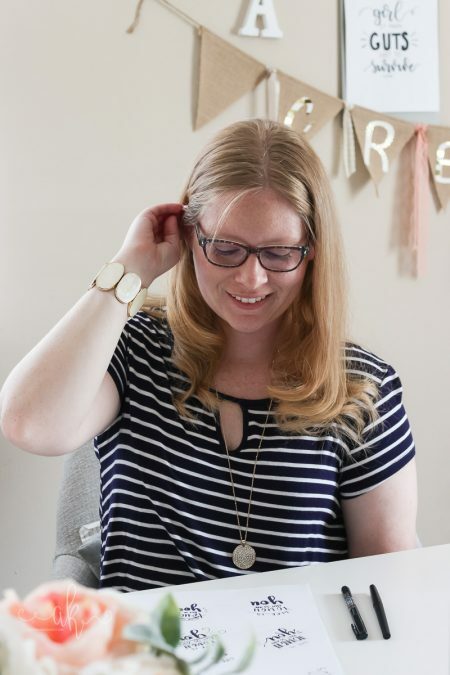 If you are just getting started with brush lettering, check out the first in my four part series introducing brush lettering. Looking for even more freebies? 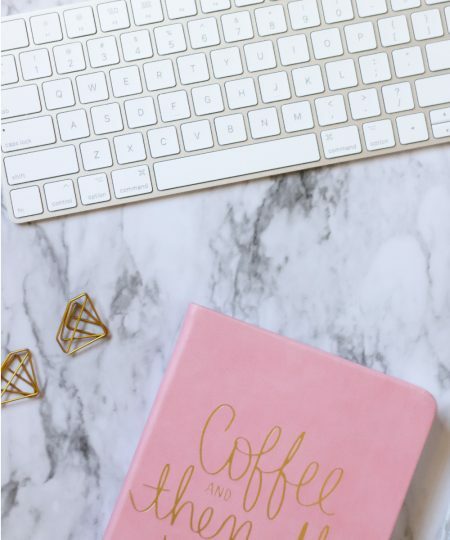 Check out my freebies page, and be sure to subscribe to my monthly newsletter where I include even more member only freebies!